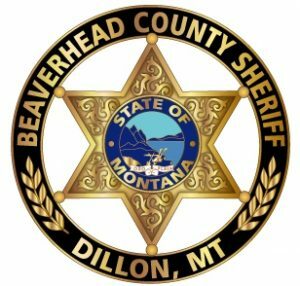 The Beaverhead County Sheriff’s Office is a full-service agency responsible for keeping the peace, upholding the state laws within the county, the operation of the jail, emergency dispatch, search and rescue, and civil process. We are also responsible for supporting the courts with security and prisoner transports. We participate in and provide support for the Beaverhead County Tactical Team and the Southwest Montana Drug Task Force. The mission of the Sheriff’s Office is to maintain and improve the quality of life within the community by working with all people to preserve life, maintain human rights, protect property and promote individual responsibility and community commitment. Sign up to receive emergency alerts from the Sheriff’s Office using the form below or texting your ZIPCODE to 888777. The Beaverhead County Sheriff’s Office provides fingerprinting services, by appointment, to the public. Fingerprints are taken on Saturdays from 1:00 PM – 4:00 PM by appointment ONLY. The cost is $20 for 3 cards. Please call (406) 683-3700 for appointments. To obtain a concealed weapon permit (CWP) in Beaverhead County you must fill out an application, submit proof of a firearms safety class, and be fingerprinted for the purpose of a background check. The application is available below; please wait to sign the application until you are at the Sheriff’s Office so that your signature can be witnessed. Fingerprinting for CWPs is on Thursdays from 1:00 PM – 4:00 PM by appointment only. Please call (406) 683-3700 to make an appointment. The Beaverhead County Detention Center is responsible for the care and custody of individuals accused of a crime, convicted individuals awaiting sentencing, sentenced inmates awaiting transport and prisoners sentenced to the County Detention Center. The mission of the Sheriff’s Office is to maintain and improve the quality of life within the community by working with all people to preserve life, maintain human rights, protect property and promote individual responsibility and community commitment. The “Noon Siren” is our daily test of the siren. It will sound every day at noon from the sirens located at Search and Rescue and the Dillon Fire Hall. This siren will not sound at UMW. The “Dillon Fire Dispatched” Siren is sounded when the Dillon Volunteer Fire Department is dispatched for either a fire call or a vehicle accident. Please watch out for emergency vehicles during the time immediately following this siren and remember to MOVE OVER. The “Disaster/Emergency Tone” will sound in the event of a major emergency in the Dillon area. This could include events such as the failure of the Clark Canyon Dam, a major earthquake or a tornado. Please sign up for emergency text message alerts by texting your ZIPCODE to 888777, you will be notified of what is happening and what you need to do via this system.